I’ve had fudge on my list of allergy-friendly recipes to make for quite some time and I finally decided to try it out! This recipe is very easy to make which makes it perfect for a last minute treat to bring to a party or pack in a lunch box. 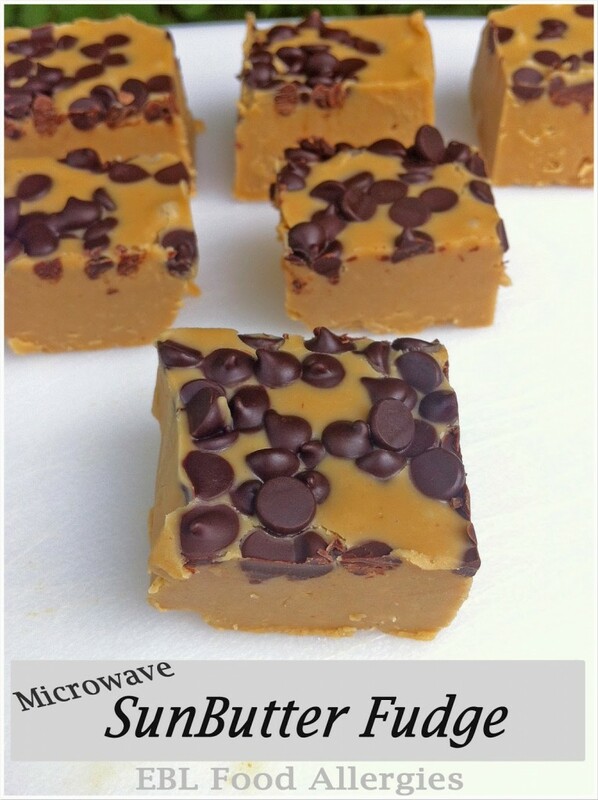 After searching for easy peanut butter fudge recipes, I decided to adapt the recipes found at Food Network – Alton Brown and Comfy in the Kitchen. I made some tweaks and created a wonderful allergy-friendly version that looks and tastes delicious! This is an extremely easy fudge recipe that only takes five ingredients (six if you add chocolate)! The hardest part is waiting for it to chill before slicing into it! 1. 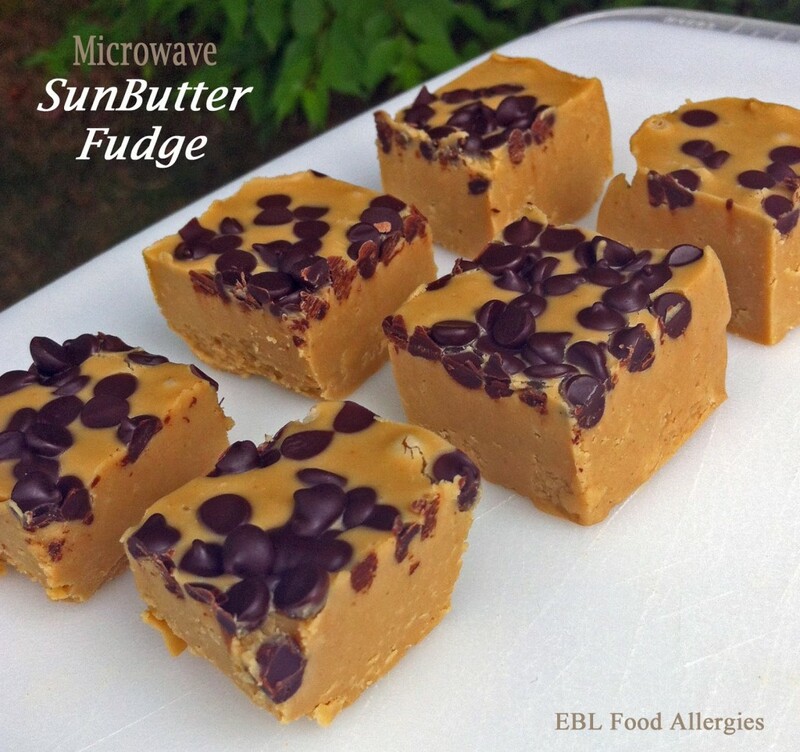 Add shortening and SunButter® to a microwave safe bowl, microwave for 2 minutes. 2. Stir, and microwave an additional 2 minutes. 3. Add the salt, vanilla extract, and powdered sugar and mix well. 4. Pour into a 4×4 (or double the recipe and use an 8×8 pan) pan lined with parchment paper. 5. Sprinkle the chocolate chips on top and refrigerate until firm. 6. Cut into squares and ENJOY! Love all your recipes. Thank you. The recipe as written is for a 4×4 pan, or you can double the ingredients and use an 8×8 pan. Does that make sense?